Discount faux wood blinds are a good alternative to expensive authentic wooden blinds. The word “faux” means fake so faux wood blinds are fake wood blinds. They look like wood, but they’re made out of synthetic materials. Often times they’re made of vinyl and are manufactured to look like wood. More expensive discount faux wood blinds are made of a mix of real wood and synthetic materials. Faux wood blinds generally cost 10 to 15 percent less than real wooden blinds. They can be found on-line or at home improvement stores such as Home Depot. When you start looking for discount faux wood blinds, you’ll need to know two things. One, you’ll need to know how many windows you want to cover. Maybe you just need to decorate a room. Or, maybe you just bought a house and need to find window coverings for the whole thing. Two, you’ll need to know the size of the windows you’re outfitting. Many of them will be a standard size. Others may need a custom fit. Windows that require a custom fit will cost more than standard blinds. However, you can still save money by getting custom fit faux wood blinds rather than authentic wood blinds. Discount faux wood blinds and authentic wood blinds share many of the same functions. They both keep out sun and heat. They both open and close. They both provide you and your family with privacy. One big difference between the two is weight. Faux wood blinds weigh more than wood blinds. The synthetic materials are simply heavier. Though this probably won’t affect the function of your blinds, the added weight can make discount faux wood blinds more difficult to install. If installation is a concern, you can always get the blinds installed for you. Another huge difference between the two is moisture resistance. Wood substances are less resistant to moisture than synthetic materials. Wood is porous, which means it absorbs water. Vinyl and other synthetic materials are not porous and therefore do not absorb water. What does this mean? This means that wood is more susceptible to rotting or warping. It can’t withstand areas that have high amounts of humidity. Because faux wood can withstand humidity, it’s much better suited for bathrooms and kitchens. When you go shopping for discount faux wood blinds, you’ll be presented with several different style options. 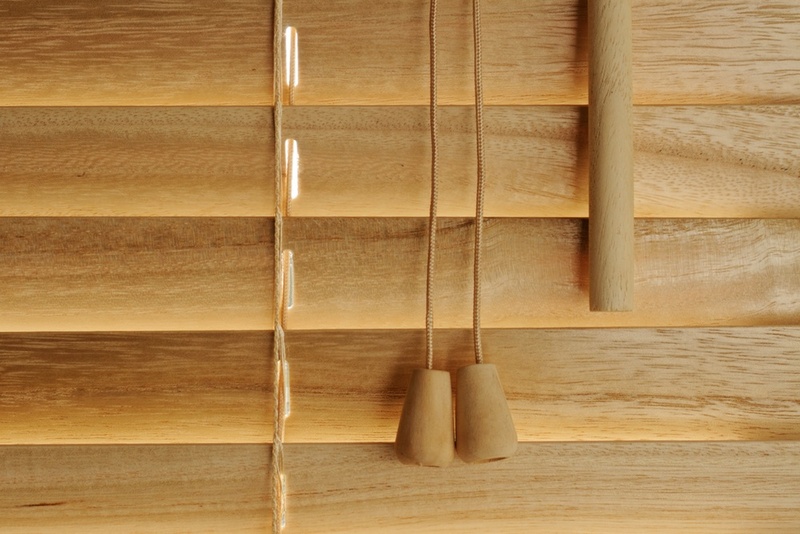 Faux wood blinds are made to look like many different types of wood. Some variations of discount faux wood blinds really look like fake wood. Some customers prefer to buy discount faux wood blinds that are painted white so they don’t look as cheap. Make sure to see the blinds in person before you order them so you don’t have to return your discount faux wood blinds.